I’m aware I haven’t actually finished telling you about our holiday in England yet, but today I want to skip to what we did this weekend because the festival isn’t over yet and there might be people in the area who feel like going. 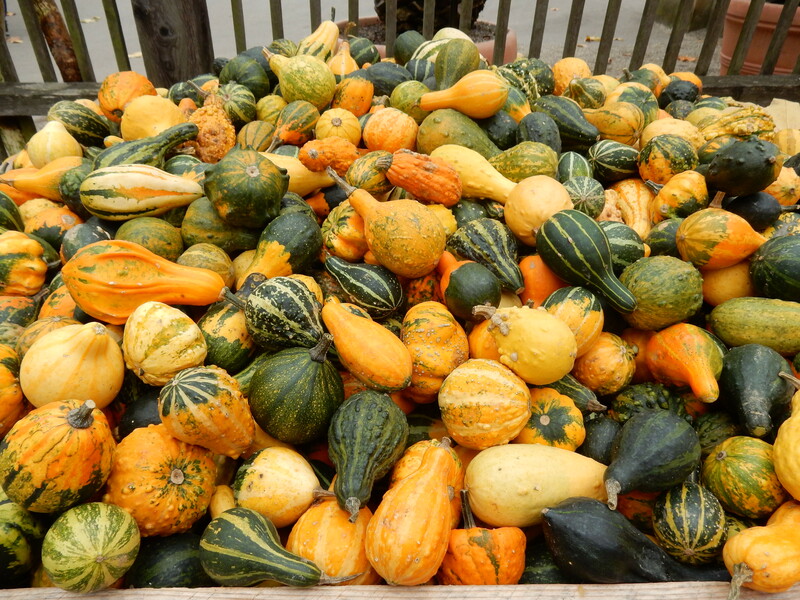 Each year, the castle in Ludwigsburg hosts a huge pumpkin festival in its gardens. A few bloggers went last year and it looked amazing, but sadly I wasn’t able to go then, so when Meredith wrote a blog post about this year’s event I was determined to make it there this time. From Karlsruhe, it would have been fairly easy to get to. This year we were further away, meaning the journey took us around 3 hours (changing trains twice), but we decided that was just about doable. Since we had to change trains in Karlsruhe, I asked whether any of my friends there would like to join us and two of them did. Each year, there is a theme for the sculptures at the festival to fit into and this year’s was Fliegen, which mines flight. However, there were some interesting interpretations of the word, for instance one sculpture was of a grand piano, which is der Flügel in German… and Flügel is also the German word for wing (as in what birds have, not the wing of a house), giving it a (slightly contrived) connection to flight. Here are some of my favourite photos that I took of the sculptures. The smaller carved pumpkins aren’t part of the “main” exhibition and therefore don’t have to follow the flight theme (hence cows and snakes). I managed to take my camera along without it’s memory card because I’m a moron 😉 Luckily I can actually take some photos with the camera’s own memory, but it meant I had to ration myself. Luckily my friend K took lots of photos, which she very kindly shared with me, so the next gallery is all her work. As well as the sculptures, there were various culinary offerings involving pumpkin. We had roast pumpkin seeds – I bought ones with chilli and sugar while K chose sugar and cinnamon, pumpkin popcorn (boring – it was just ordinary sweet popcorn with crushed pumpkin seeds sprinkled on, and taste of just… popcorn), pumpkin burgers (amazing! Would eat again! ), pumpkin chips/fries (also amazing! I plan to try and make my own), pumpkin Schorle (juice mixed with fizzy water) and pumpkin prosecco (“Kürbissecco”), and also sampled some of the items that were available to buy for taking home – including pumpkin seed pesto, pumpkin ketchup and pumpkin chutney. All were delicious! Don’t feed it after midnight! This pumpkin will slay vampires for you! This pumpkin shall never be destroyed! Sorry about the photo overload – I couldn’t narrow it down any further! If anyone is in the Stuttgart/Ludwigsburg/Heidelberg area and wants to see the pumpkins for themselves, the festival is on until Saturday 8th November. The exhibition area is not lit, so I recommend going during the day/before dark. Entrance to the garden is €8.50 – and make sure you do ask for a ticket to just the garden, unless you actually want to go into the castle! Apart from the pumpkins, the garden itself has a lot to offer, including a huge walk in aviary (which we sadly didn’t have time to go into this time, but Jan and I have been before and it’s amazing!) and a fairytale forest. Phew! That was a long post, so congratulations if you’ve made it to the end! 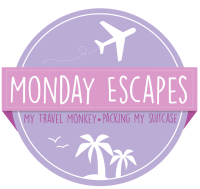 I’m linking this up for Monday Escapes with Packing my Suitcase and My Travel Monkey. Click the button for more information.